michaelnewbern.com » What Do We Do? Home » Firearms » What Do We Do? In the wake of what will go down in history as the most horrific slaughter of children in America, I am pleased to see many of my friends asking questions. How could this happen? What can we do to prevent this? Where have we failed? They are all so very important questions. I too think we need to address the root cause. But, I think a lot of people are overlooking a question that is screaming out to be answered. How would things be different in Newton, Connecticut if just one person in the Sandy Hook Elementary School were able to meet that madman with tools of equal force? 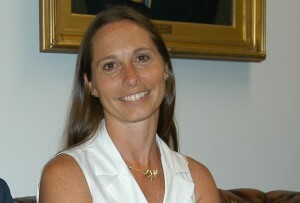 Dawn Lafferty Hochsprung, principal at Sandy Hook Elementary School shown in 2010, has been referred to as a 5’2″ raging bull. Sandy Hook Elementary School Principal Dawn Lafferty Hochsprung, who has been referred to a “5-foot-2-inch Raging Bull,” lunged at the shooter in an attempt to disarm him. Her efforts, though valiant, were fruitless. How more effective would she have been if she were able to possess a tool of equal force? We can’t say for sure. But we can point to several instances where armed resistance has helped to minimize tragic loss of life in situations like the one on Friday. A 1997 high school shooting in Pearl, Mississippi, was halted by the school’s vice principal, Joel Myrick, after he retrieved the Colt .45 he kept in his truck. A 1998 shooting at a Parker Middle School dance in Pennsylvania ended when the owner of the restaurant hosting the dance, James Strand, retrieved a shotgun and apprehended the shooter. A 2002 shooting at the Appalachian School of Law, came to an abrupt conclusion when two students confronted the shooter after retrieving firearms from their vehicles. A 2007 mall shooting in Ogden, Utah ended when an armed off-duty police officer intervened. A 2012 church shooting in Aurora, Colorado was stopped by an off duty officer in attendance. The Clackamas Mall shooting was cut short when a college-aged concealed weapons permit holder trained his gun on the shooter. Mass shootings just don’t occur in carry-friendly zones. With just one single exception, the attack on congresswoman Gabrielle Giffords in Tucson in 2011, every mass shooting (which the FBI defines as one with four or more victims) has occurred in a location where firearms were banned. The Aurora shooter chose the barrel in which he shot his fish victims with care. There were seven theaters inside a twenty mile radius of his home showing the Batman movie he was obsessed with that night. Choosing a theater that banned firearms ensured he wouldn’t meet any of the 4% of Coloradoans possessing concealed weapons permits. The Cinemark Theater with a policy and signs banning firearms was the perfect choice for him. Evil exists. We are not going to legislate it away. We are not going to counsel it away. We are not going to medicate it away. It has been part of the human experience since the beginning of time and it will remain part of the human experience until we no longer exist. The fact that we will never eliminate it is a hard pill to swallow. It is however one that concealed weapons permit holders have accepted and try to live through. I challenge you to accept that reality. I challenge you to take ownership for you safety. I challenge you to make the conscious decision that you and your loved ones will live in spite of evil. If you do not have a concealed weapons permit in your state, get one. I don’t care about your conspiracy theory mumbo-jumbo and how the government is going to come round us all up. I am in the middle of the political struggle to restore our rights. Documentation of law-abiding concealed weapons permit holders helps us. Add to the number. And then I challenge you to do more. Join your local gun club or shooting range. Join your local gun rights group. Join a national gun rights group. Between the National Rifle Association, Second Amendment Foundation, and Gun Owners of America you are sure to find one that represents you. Get on the phone with your elected officials. Write them emails. Send faxes. Write them personal notes. See them in their offices. Catch them on the campaign trail. Send their campaign a donation with a note expressing your wishes. They work for us. And lastly, please train. This most often overlooked activity can mean the difference between being a statistic and going home. Please train with experts as well as on your own. You are only as good as you train.